Island community’s historical storefront has been preserved with a winery, taproom, galleries and more. WHIDBEY ISLAND — Listening to soft jazz while deciding between the avocado toast or roasted squash frittata at the Flower House Cafe, I’m having trouble imagining myself sitting in what was once a hay barn. A garden store and nursery lie across a courtyard in the former hay field. A stone pathway leads to the restored 1920s Cash Store where sales of art and wine have replaced cattle feed and cigars. I’ve driven the stretch of Highway 525 between the historic towns of Langley and Coupeville on Whidbey Island many times. This time, I bypass the boutiques and cafes along Langley’s waterfront and detour to Bayview, an unincorporated community with roots as a crossroads of commerce in the early 1900s when the island was a rural farming community and the corner was the place to stock up on supplies. Fast-forward to the 21st century to what feels like a small-town village without a ZIP code — a little sister to Langley, some say, but with its own personality centered on the artsy business hub of Bayview Corner. In addition to the nursery and Cash Store, originally built as a general store in 1924, there’s a community hall, circa 1927; a historic schoolhouse; and a 1914 Sears, Roebuck kit home renovated in 2002 for offices. “This has always been a mercantile hub, as well as a gathering place for the local community,” says Sandy Whiting, executive director of Goosefoot, a community nonprofit set up in 1999 to save the old store and 22 acres of surrounding property from commercial redevelopment. Using a gift from island philanthropist Nancy Skinner Nordhoff, Goosefoot set about renovating the Cash Store, hiring designers who used cedar siding and redwood boards from the old Langley water tower to re-create the building’s original style. 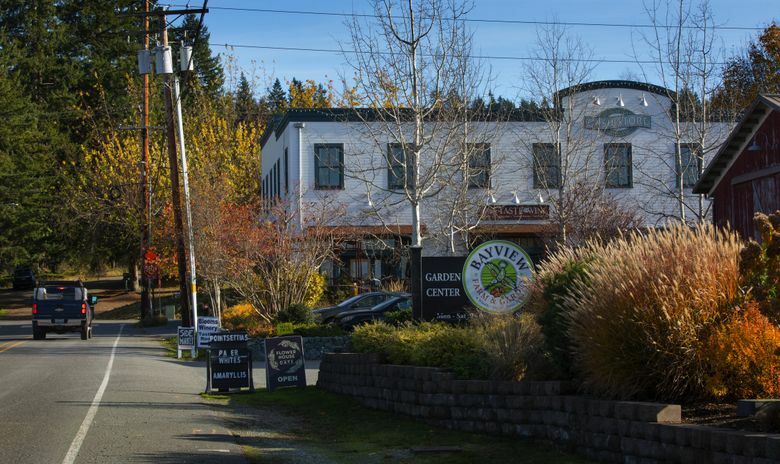 Maureen Murphy, who opened a small retail nursery in Bayview in 1993, acquired property for what is now Bayview Farm & Garden and the Flower House Cafe, while Goosefoot recruited tenants for the Cash Store, with the goal of supporting Whidbey artists and entrepreneurs. A 20-minute ferry ride from Mukilteo, north of Seattle, Whidbey Island makes for a relaxing holiday escape from the mall crowds. 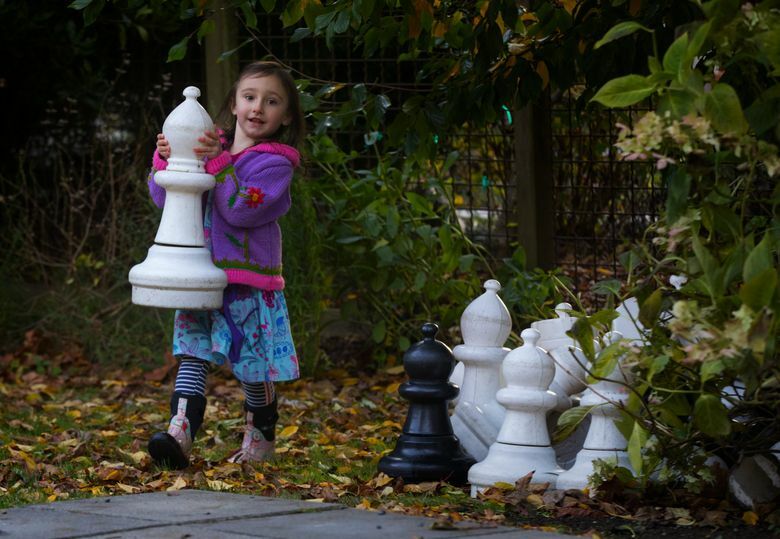 Keep Langley and Coupeville on your radar, but this time take the detour to Bayview. Merchants plan lots of festivities, including a special holiday farmers market in the Bayview Community Hall on two Saturdays, Dec. 9 and 16. 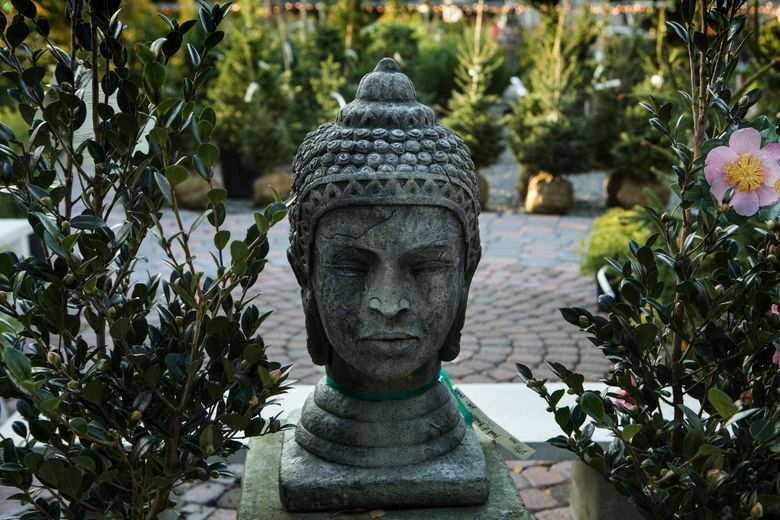 Anchoring Bayview Corner is Murphy’s garden center and nursery, known for its living tunnel of laburnum trees, nurtured by Murphy and her staff over the past 20 years. Come back in April to see it in bloom. 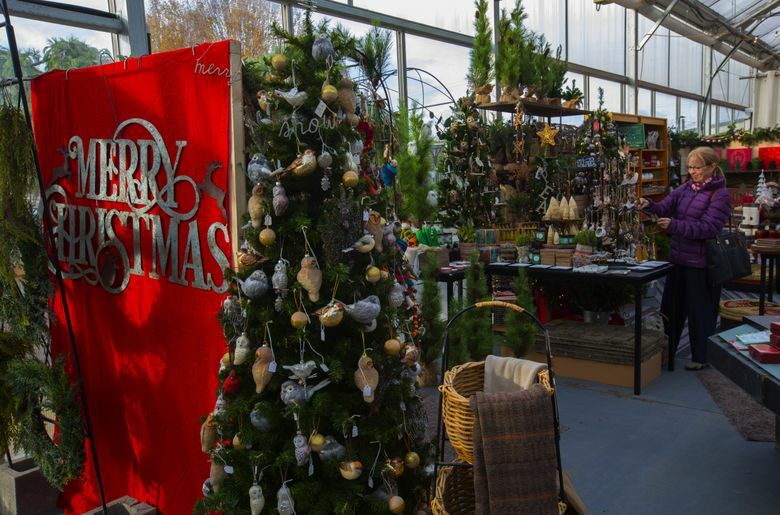 In the meantime, take a stroll though the greenhouse transformed into a Christmas market stocked with decorations, house plants and customized wreaths. Murphy still sells chicken feed and live baby chicks in the spring, but these days she mostly stocks her store with merchandise to appeal to the island’s visitors and population of second-home owners. Pick up island-made sea salt and caramels, or lavender products from the Lavender Wind Farm in Coupeville. There’s a large section devoted to cookbooks, a children’s nook and bins of dog treats brimming with peanut-butter bones and cheddar-cheese pretzels. 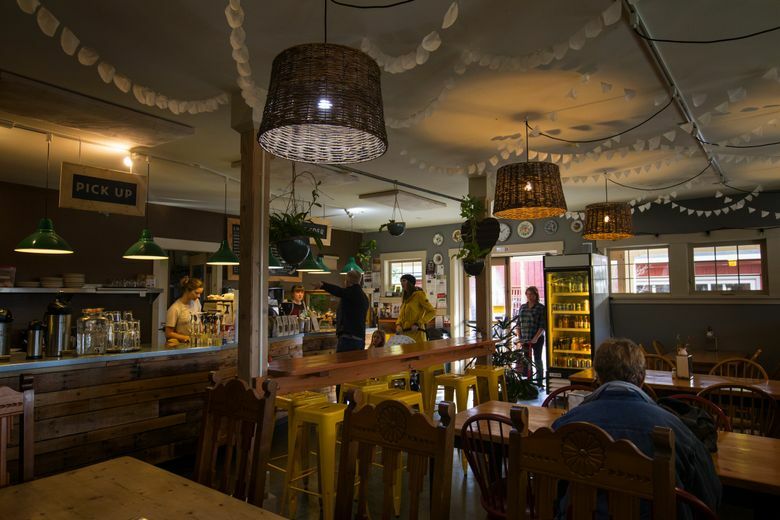 Murphy’s daughter and son-in-law, Nekoda and Manuel Acosta, run the Flower House Cafe, sourcing ingredients for breakfast and lunch from local producers and growers. Set up in a cheerful cubbyhole inside the Cash Store are three artists specializing in wearable art. Textile artist Peggy Juve creates one-of-a-kind scarves, hats and sweaters. 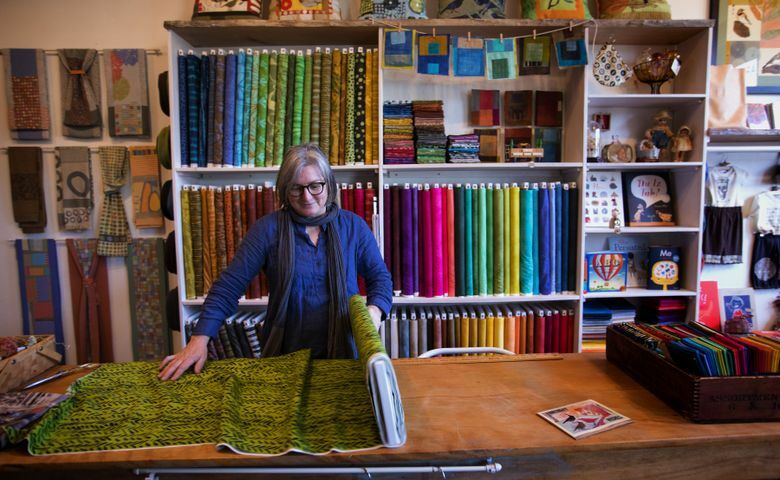 Fiber artist Marcia Derse specializes in designing colorful fabrics with bold, painterly patterns. Mixed-media artist Meredith Macleod takes inspiration for her clothing and bags from water, birds, thrift-store hunts and polka dots. The Side Market opens into the Cash Store’s atrium, where community groups have decorated a “giving tree’’ with handmade ornaments for sale. Candles cast a warm glow as locals fill the Blooms Winery tasting room on a chilly Friday evening. It’s open-mic night, and Alex Bonesteel, 29, takes the stage with his electric violin. The Celtic Highlands meet Pink Floyd as Bonesteel plays, and a little girl in fringed suede boots dances while her parents relax in red leather chairs. Ken and Virginia Bloom “are huge supporters of local music and local art,” says Bonesteel, pointing out one of his own paintings on the wall, part of their annual “Hundred Bucks Art Show,” continuing through December with works priced at $100 or less. 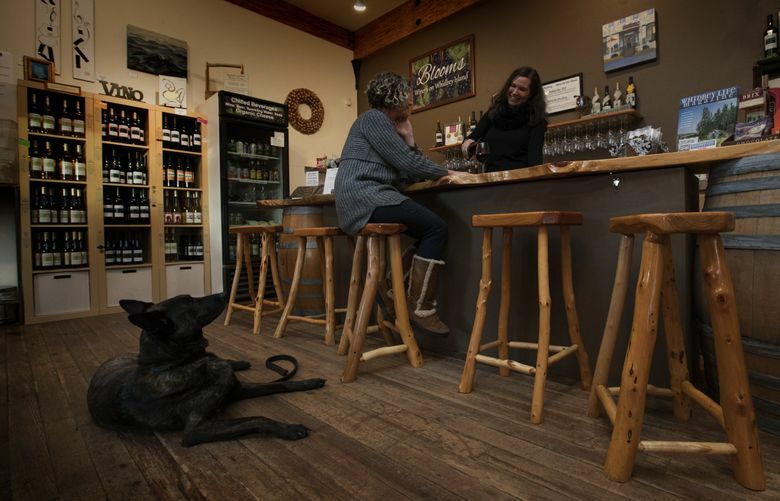 The Blooms opened their tasting room at Bayview Corner in 2009 to introduce visitors to wines made in their Freeland winery, then quickly expanded the business to include an art gallery and live music on Friday nights and Sunday afternoons. On the menu are more than a dozen wines by the glass or bottle, savory pies made by Whidbey’s Kitchen Door (try the pork and apple), antipasti trays and cheese plates. Dogs and kids are welcome. “There’s no obligation to drink,” says Ken Bloom. Coming up on Friday, Dec. 15 (6-8 p.m.), is a holiday swing and jazz concert with Trio Nouveau Jazz and a holiday favorites singalong with Al Benson on Sunday, Dec. 17, from 3 to 5 p.m.
Goosefoot was hoping to add a bar at Bayview Corner, about the time Whidbey natives Tiffany and Damien Cortez began looking for a business to sustain their growing family. 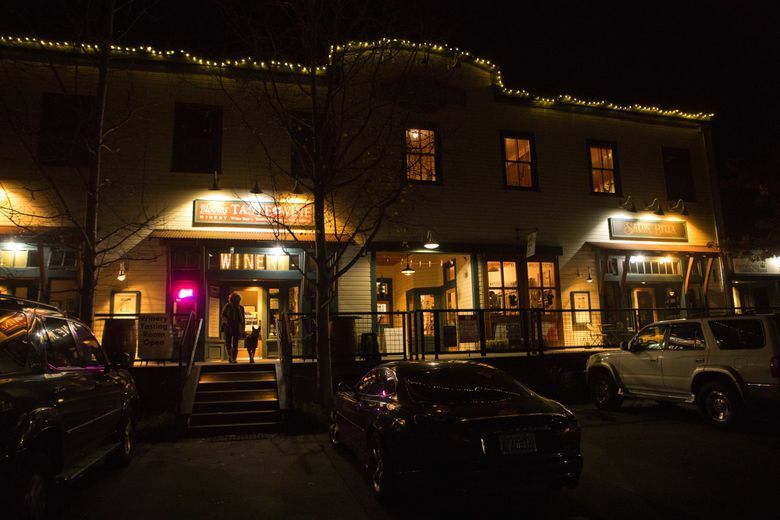 With a loan from Whidbey Island Local Lending, a network of islanders with money to invest in business startups, they took over space vacated by a deli and grocery store, and opened their taproom in 2014, establishing the first bar in Bayview since the 1940s. Family-friendly, the Taproom rotates craft beers through 10 taps plus two for cider. Popular are the once- or twice-monthly Brewer’s Nights with a “tap takeover” by a guest brewery. Seattle’s Fremont Brewing will bring its holiday beers to the Taproom on Thursday, Dec. 14. Check the website for a calendar of live music, including upcoming holiday-themed performances. Family-style farmhouse dinners and cooking classes continue through the winter at the Orchard Kitchen, 5574 Bayview Road, a 5-acre farm where owners Vincent and Tyla Nattress spent the harvest season putting aside special treats for the holiday season. Look for menus to include Dungeness crab, oysters and locally sourced mushrooms. See the website for details and reservations for Thursday-Sunday dinners as well as cooking classes that include lunch. 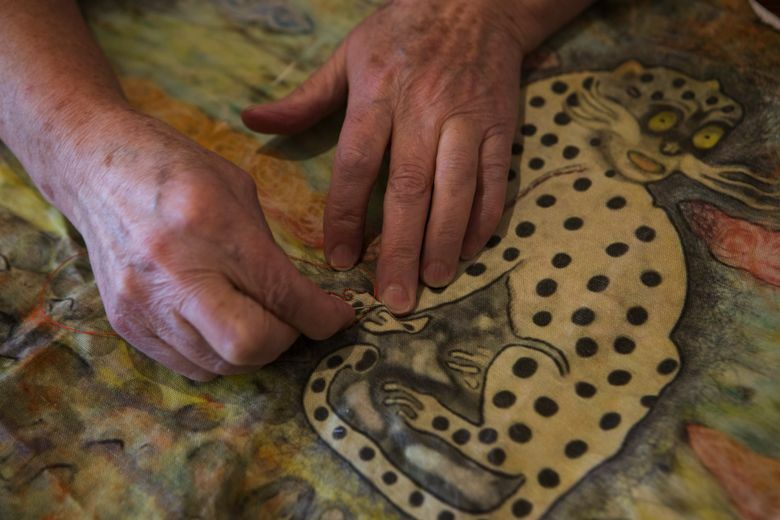 Tucked into a former storage closet on the second floor of the Cash Store is the Treasure Trove Gallery, opened by local glass artist Kéké Cribbs as a “creativity generator” for artists experimenting with new ideas. Among works for sale are little baskets created with theater tickets and staples by furniture maker Kim Kelzer; beaded jewelry by the mother-daughter design team of Fran Seemann and Amy Johnson; and tiny sculptures crafted from wire, playing cards and bottle caps by painter Kate Boyle. Cribbs also manages the Front Room Gallery, a rental space for artists, with changing monthly exhibits. Coming up in January, one of the darker months of the year, is an interactive installation titled “Selfie and Others Lightbox Playpen.” The gallery will be set up with reflective surfaces, lights and creative backdrops for photo shoots. Visitors are encouraged to bring costumes and props for selfies and group photos. 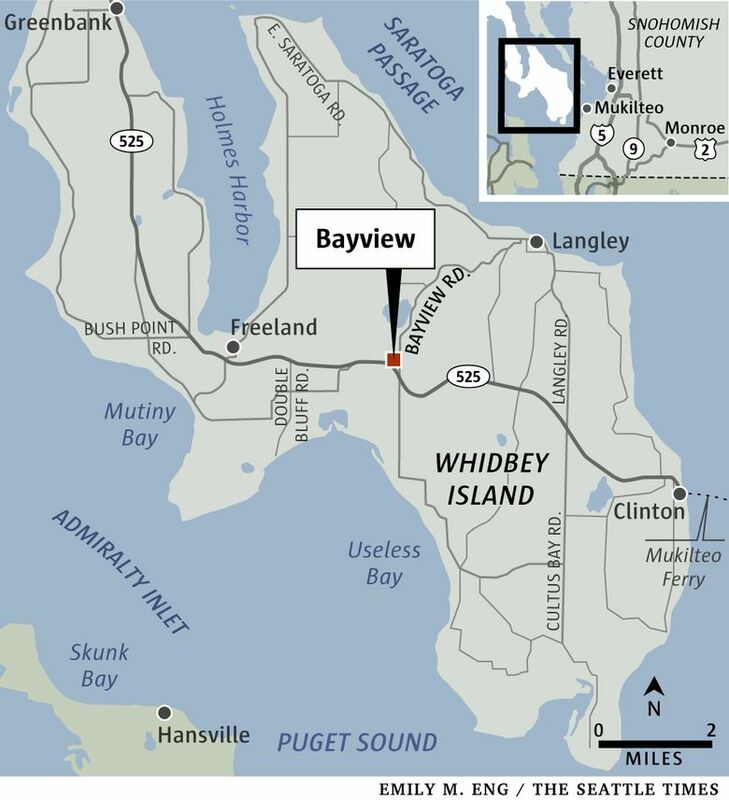 Bayview is an unincorporated community near the intersection of State Route 525 and Bayview Road on Whidbey Island, 7 miles from the Clinton ferry dock that links Whidbey Island to the Snohomish County town of Mukilteo. Ferry crossing time is about 20 minutes. (See wsdot.wa.gov/ferries for schedules and prices.) From the Clinton ferry terminal, drive northwest on Highway 525, turn right at Bayview Road and continue for about 2 blocks to the intersection with Marshview Avenue. Whidbey is an easy day trip from Seattle, but it’s worth spending the night, especially offseason when rates fall. Choose from beach houses, lake retreats, B&Bs, yoga retreats and treehouses. See whidbeycamanoislands.com/lodging and airbnb.com for listings. The regular outdoor Saturday Bayview Farmers Market is closed for the season, but reopens for the holidays on two Saturdays, Dec. 9 and 16, 10 a.m.-2 p.m. in historical Bayview Hall, Highway 525 and Bayview Road. Thirty-three island vendors will sell produce and locally made cheeses, bread, baked goods, and arts and crafts. See bayviewfarmersmarket.com. Information in this article, originally published Dec. 7, 2017, was corrected Dec. 8, 2017. A previous version of this story incorrectly stated that the Taproom@Bayview Corner welcomed customers to bring their dogs.